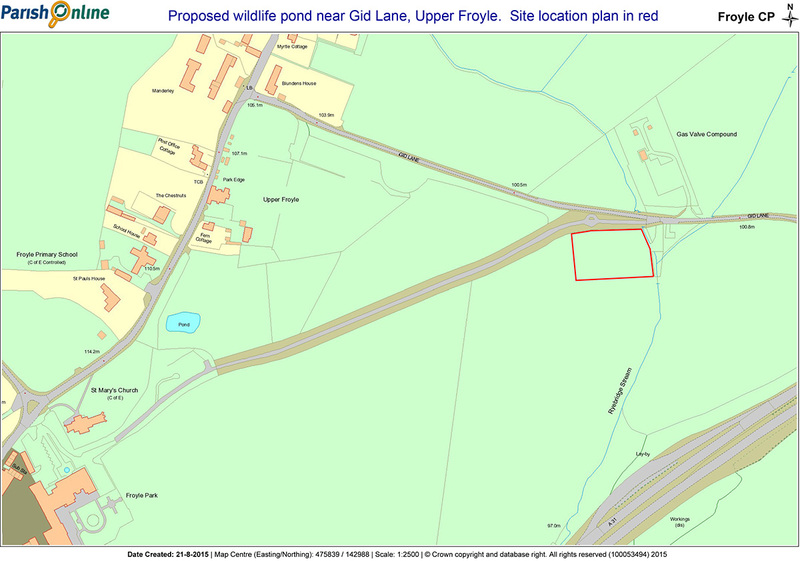 After a slow start, the plan for two wildlife ponds near Gid Lane had to be changed to a single pond 300m2 area when the topographical survey revealed buried pipes. Recently the required planning application has been submitted to EHDC reference 56422 and here is a link to the documents:- supporting statement, site location plan, block plan and cross section. Froyle Park developers NJG say they are committed to completing this project to enhance biodiversity. 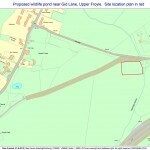 An experienced contractor has been recommended to carry out the work and the soonest that pond digging could begin is Spring 2016.